The most ungentlemanly spy spoof about how to be a gentleman. The (in)famous church scene isn't only the most entertaining part of Kingsman: The Secret Service, it's also a microcosm of the film's ethics. Colin Firth (a veteran secret agent) spends a large majority of the film teaching Taron Egerton (the new recruit) proper codes of conduct, and the scene gives this "ethical gentleman" an excuse to ruthlessly beat up a room full of other humans. It's not his fault because he's the victim of mind control, and the people he's killing are all part of a hate group (the movie telling us not to worry about it). It’s a perfect pretext for unrestrained, immoral violence carried out by an otherwise restrained, moral man. It is the film having its honorably homicidal cake and brutally murdering it too. 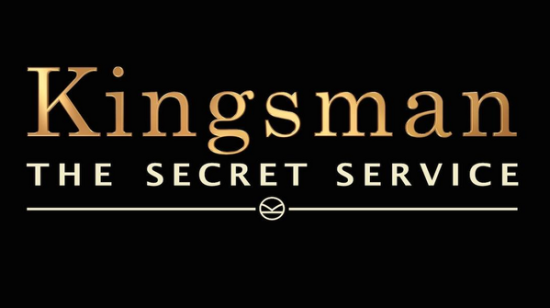 Kingsman is not about how "manners maketh man," it's about how fun it is to watch man un-maketh his manners. Its questionable ethics aside, I have to admit that I had a pretty great time with Kingsman in spite of myself. Matthew Vaughn seems to have an innate sense for irreverent, exciting kineticism, and while there were a few scenes that were overly edited to within an inch of their lives, for the most part it worked. It's a crass and juvenile male empowerment fantasy (purposefully so), but it's also a fascinating indictment of the James Bond brand of masculinity. And it's just entertaining. Damn entertaining.